For a multinational, multilingual, multi-sector organization, the recruitment software needs of Hudson Global Resources are broad and vast. 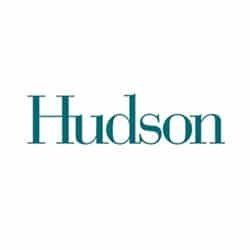 A Top 100 recruiter with worldwide revenues of $1.18 billion, to continue to compete in our fast-paced sector, Hudson needed a product that could acquire and process CVs very reliably and in minimal time. “We were receiving an enormous amount of CVs as e-mail attachments, which arrived neither parsed, nor screened, so we needed a tool that could efficiently sort out our incoming e-mail stream, identify and acquire CVs, process them, and put them into a standard format that we could work with,” says Laurent Chen, Chief Operating Officer for Hudson Europe. To address these specific needs, DaXtra’s team integrated DaXtra Capture with Hudson’s existing CRM system. The result was a mechanism by which CVs received by Hudson were spam-filtered and then, within seconds,DaXtra Capture using its most advanced linguistic and machine learning technology extracted personal and contact information from the CV, populated employment and educational details, coded candidate skills with bespoke Hudson’s database codes, applied deduplication measures, and created a standard record in the database as well as in-house style CV for send-outs. “DaXtra Capture improved the duplication of CVs quite dramatically,” Laurent explains – a seemingly simple process, but one which eliminates masses of unnecessary data from the system, reducing the amount of information reviewed by consultants, and thus speeding their ability to match candidates to placements. Prior to implementation of Daxtra’s system, all CVs received by Hudson had been processed by administrators or their in-house CV centre — an appreciably expensive and time-consuming process. With the worldwide span of Hudson’s candidate database comes the necessity for multilingual processing capacity. With its support of English, Dutch, German, French, Polish, and other major European languages, with further updates underway, it is a need that Daxtra Capture can certainly serve. Three years since the DaXtra Capture implementation, Daxtra’s relationship with Hudson remains strong.